The legislative battle over marijuana is over but as Canadians look to Oct 17 — the date legalization takes effect — there are some practical considerations that should be top of mind for those who want to avail themselves of the legal product. The legislative battle over marijuana may be over, but as Canadians look ahead to Oct. 17 — the date legalization takes effect — there are some practical considerations that should be top of mind for those keen to light up legally. First of all — and this is typical of Canada's federal system — not all provinces and territories are following the same path to legalization. Some are imposing different regulations on the drug within their jurisdictions. Two provinces, Quebec and Manitoba, are banning home cultivation altogether. 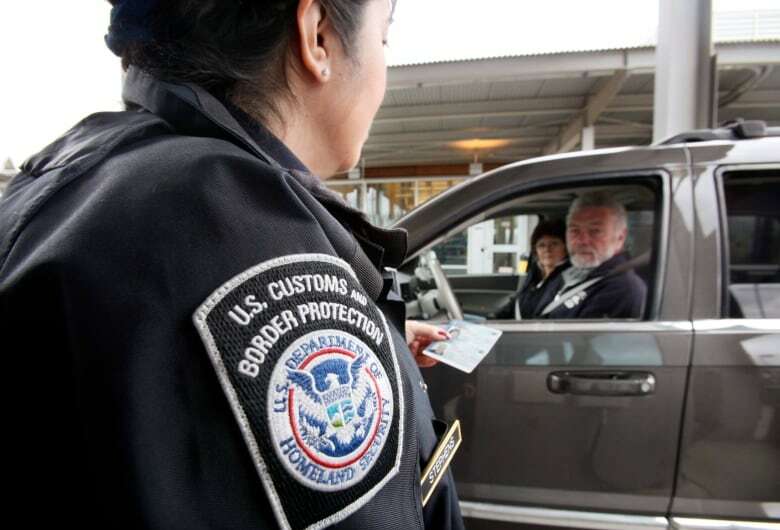 Canadians who cross the border frequently into the U.S. should prepare for American customs and border patrol officers asking pointed questions about their drug histories. U.S. immigration lawyers are already warning Canadians that they could be denied entry to the U.S. — or barred from the United States for life — if they admit to smoking cannabis to a border agent. The drug is still a prohibited substance under U.S. federal law, despite legalization in some U.S. states. U.S. Attorney General Jeff Sessions, an ardent anti-drug crusader, warned a group of Canadian Conservative senators recently that there could be longer wait times at the border because of enhanced, secondary screening of Canadians. There is also the matter of amnesty or pardons for those Canadians who have been convicted of cannabis possession-related offences, an issue that activists and the NDP have been pushing since the Liberal government unveiled its plan for legal marijuana. But until Oct. 17, the current law remains in place. Police can still make arrests for possession and Crown attorneys can still prosecute. While the federal government was responsible for the bill that ultimately will legalize recreational marijuana possession, home growing and sales to adults — by dismantling key aspects of the Criminal Code that maintained prohibition for 95 years — the practical details of implementing legalization have been left largely to the provinces and territories. Ottawa delayed full legalization to allow provinces some extra time to get their retail storefronts and online sales outlets up and running. In some provinces — including Ontario, Quebec and most of Atlantic Canada — the stores will be run by the provincial governments, like the liquor stores. Elsewhere, the private sector will take the lead. Some health experts recommended the sale of cannabis be restricted to those 24 years of age and over because of the negative impact the drug can have on the developing brain — but all Canadian jurisdictions have settled on either 18 or 19 years old as the legal age of consumption. The local legal ages for drinking alcohol and consuming marijuana have been largely harmonized. In general, people can light up on private property and in private residences. In most provinces, landlords will be able to prohibit the consumption of cannabis in rental accommodations, just as they often do with tobacco products. The same goes for home cultivation. While most provinces — except Quebec and Manitoba — will adhere to the federal law that allows for four cannabis plants per household, some jurisdictions are giving landlords the power to curb the practice. In Ontario, for example, condominium boards will be permitted to restrict home cultivation entirely, even in units that are owner-occupied. Alberta, British Columbia and Nova Scotia will allow people to smoke cannabis in areas where tobacco consumption is allowed, with some restrictions: it can't be consumed in a car, or in places near children. Quebec will prohibit cannabis smoking on university and college campuses. All provinces will be empowered to more aggressively police impaired driving. Bill C-46, which also passed through Parliament last week, allows provincial police forces, the RCMP and local police to conduct mandatory roadside impaired driving tests for alcohol. But police also will be able to demand a driver provide an "oral fluid sample" — saliva — if they suspect a driver is impaired by drugs. Three new drug-related offences will also be created for drivers. A driver who has a blood level of more than five nanograms of THC (the primary psychoactive found in cannabis), or has been drinking alcohol and smoking pot at the same time, will face a fine and the possibility of jail time. One issue continues to be a legal grey zone: the Canada-U.S. border. 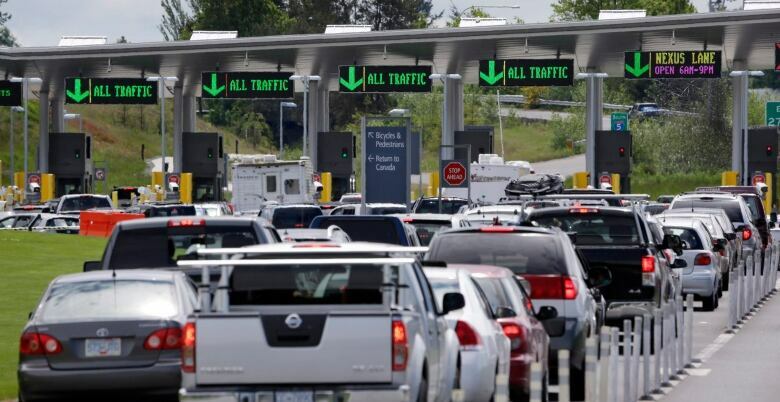 This is an area beyond the control of the federal government, as Canada obviously can't dictate how U.S. border guards treat Canadians who have consumed cannabis — recently, or in the past — and want access to the U.S.
Tens of thousands of Canadians cross into the U.S. each and every day. Entry is at the sole discretion of the U.S. Customs and Border Protection officers on duty — and they have a lot of latitude to ask questions to determine the admissibility of a foreign national. Len Saunders, an immigration law attorney who works in Blaine, Washington (a major border crossing for B.C. residents), said some border guards undoubtedly will be asking about drug history — and an honest answer could lead to a traveller being denied entry, or even banned from the U.S. for life. Saunders said the U.S. can, and will, continue to deny entry to Canadians who admit to having smoked marijuana or having marijuana in their possession, even after the product becomes legal in Canada. The consequences could be even more dire for holders of NEXUS cards, issued through a trusted-traveller program administered by both Canada and the U.S. for frequent cross-border travellers. "If you admit to smoking marijuana, you will lose your NEXUS card for life. If they smell marijuana on you, you will lose your NEXUS card for life," Saunders said. "People have this false sense of security travelling over the border and telling officers that they have used marijuana. That's the problem." A spokesperson for Public Safety Minister Ralph Goodale said the Canadian government continues to have conversations with U.S. officials about the matter. "Officials from the United States have said that they do not plan on changing their questions at primary inspection after cannabis is legalized in Canada. However, if a traveller gives them reason to be suspicious, their officers may ask further questions," the spokesperson told CBC News. A landmark Senate study on the legalization of drugs recommended way back in 2002 that marijuana be decriminalized and that the Government of Canada declare an amnesty for anyone convicted of cannabis possession under current or past legislation. It's a call that has been echoed by activists, the NDP and even Liberal MP Nathaniel Erskine-Smith. 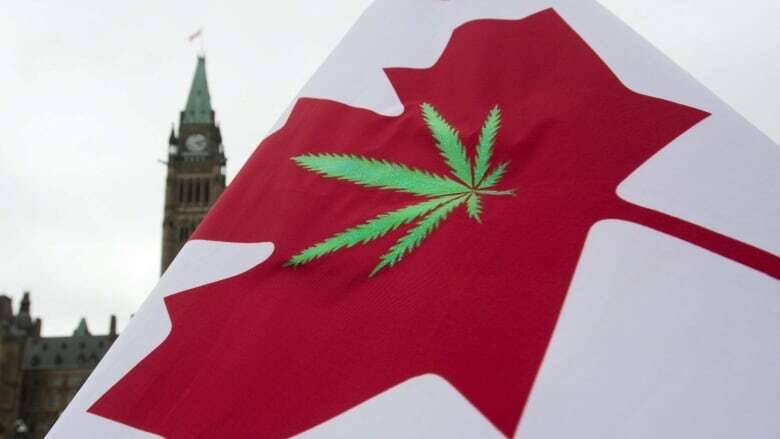 In the government's eyes, though, this remains a non-starter until the current legal regime is fully dismantled and replaced with the system outlined in the marijuana legalization bill. Justice Minister Jody Wilson-Raybould has said the question of amnesty is "premature," since legalization does not take effect until October. That message was echoed by Bill Blair, the former Toronto police chief turned Liberal MP who has served as the government's "pot czar." "The law remains in effect until it's repealed and replaced. Any discussion of those records can't take place until that process is complete," he said Wednesday. "We have a responsibility to uphold the existing law." In 2016 alone — after it was clear that cannabis would be legalized with the election of the Liberal government — 55,000 cannabis-related charges were laid under the Controlled Drugs and Substances Act. Of those, 76 per cent were for simple possession, according to data collected by Statistics Canada.